Arizona native Adam Gabriele loves to learn. He has a bachelor’s degree in political science, a master’s degree from the School of Sustainability, and now he’s working on a doctorate from ASU’s School for the Future of Innovation in Society. Gabriele’s mix of interests led him to pursue a unique research topic while at the School of Sustainability. His scientific paper, called “Living in a Wounded World: Sustainability and Psychological Trauma,” explored the psychosocial benefits of agricultural therapy for combat veterans impacted by PTSD and moral injury. 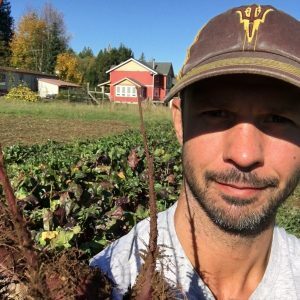 “The results strongly suggest that sustainable agricultural can be of powerful clinical benefit to traumatized veterans and that sustainable behaviors and values in general increased as trauma symptoms decreased,” Gabriele wrote. 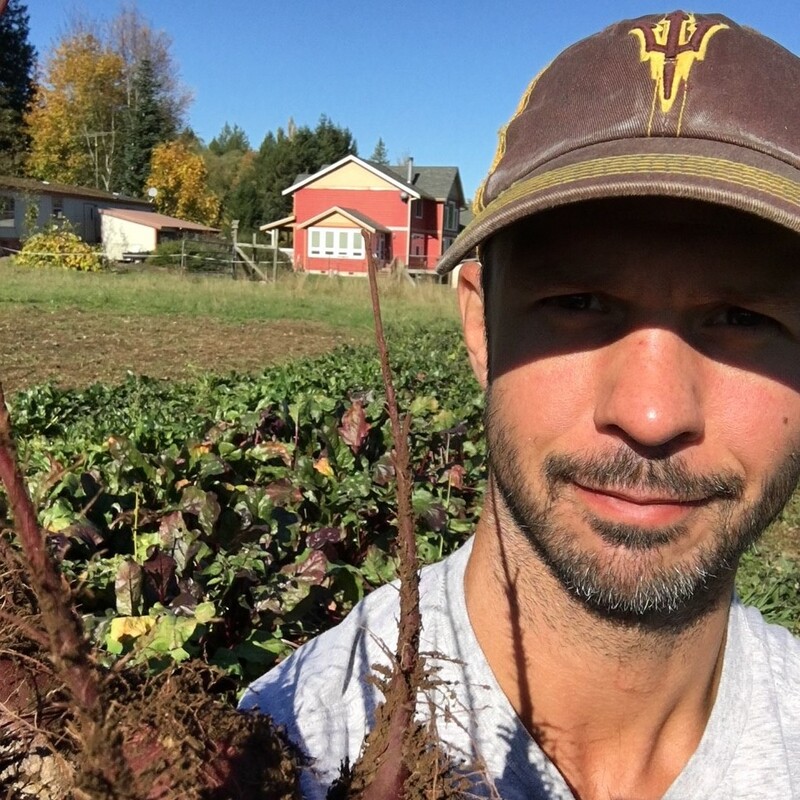 Read on for how Gabriele got inspired to do this research and what sustainability means to him. Question: What was your “aha” moment when you realized you wanted to study the field you majored in? Answer: It was a windy road that led me to my research! When I first came back to grad school, I was in the history program and wanted to become a Crusade historian. I took Environmental History with Chris Jones and really liked the forward-looking perspective it granted. That led to an interest in conflict resolution based on shared environmental resources. So I switched to the School of Sustainability, and I quickly became very confused! It seemed like for every problem there was a viable solution — or several — but none of them had been adopted to a meaningful degree by society. I began to think that simply offering solutions was not the best way to champion sustainability. There is something else stopping people from getting on board with these worthy projects. Then I saw a trailer for a documentary about moral injury — a kind of trauma common among soldiers, similar but distinct from PTSD — and my light bulb went on. The symptoms exhibited by these traumatized veterans seemed to me totally comparable to the way society reacts to ecological crises and sustainability messaging. I realized then that, to some degree and among a significant and growing segment of our population, modernity is traumatizing and that trauma is inhibiting individuals from making the transition to a sustainable lifestyle. A: If you truly want to be an interdisciplinary researcher, you have to broaden your exposure to ideas and methods. You have to be really proactive — reading beyond your class-assigned articles, attending lectures and seminars in other departments, and listening to or watching media (such as podcasts, movies and novels) from outside the university. But the surprising thing (for me at least) was not forming a coherent project out of that, it was balancing all the disparate interests I developed and initiatives I was able to become involved in. Q: What’s the best piece of advice you’d give to those currently studying (or interested in studying) sustainability at ASU? A: Take care of your physical body. Eat well. Rest as much as you need to. Meditate or do yoga or swim. Go to the gym. It is exponentially more difficult to deal with the intellectual or emotional stresses of advanced study when you feel crappy. Healthy body, healthy mind, healthy spirit. A: Sustainability to me is, or should be, an orientation more than a science or a discipline or even a goal. If we’re really successful, someday sustainability will be so ingrained in our society — as a value — that the School of Sustainability won’t even be necessary. Sustainability should aim to inspire as much as it informs, to train motivators alongside scholars and scientists. Academics (and I think of myself proudly as a developing academic) often spend too much time arguing over what sustainability is. I think there’s room for almost the entire range of definitions, and by doing our best to support that plurality, we will be moving in the direction we need to go.